HVAC or Heating, ventilation, and air conditioning systems are very much essential these days for our comfort. We enjoy using this equipment for getting fresh and cold air. People usually forget these systems after the installation work is complete. Everything seems to work normally until one beautiful day you find yourselves spending money on fixing it. Finding a company that does air conditioning services in Houston is not difficult. When you put in efforts as well as research correctly, you can get to the right firm. It is essential for you to get an annual maintenance contract to avoid many serious issues. Many people are not aware of the advantages that come by entering into a maintenance contract. They presume that it is a waste of money. Here are some of the many reasons why you should get an AMC. Protect the Equipment: Procuring and installing an HVAC system at your home or office is a costly affair. You should have already spent a fortune in purchasing this equipment. When it comes to maintaining this machine, however, people hardly put in their effort. Parts of the HVAC system is quite costly and can burn your pocket when you are unprepared. If you, however, have an AMC in place, you protect the system. Technicians will detect when there is a problem in the system. They can quickly eradicate issues before they can become worse. You will able to save some money as a result. Clean the Systems: When the HVAC system is clean, the air that comes into your office or home is hygienic and fresh. It is essential to clean up the filters every few months so that it works efficiently. 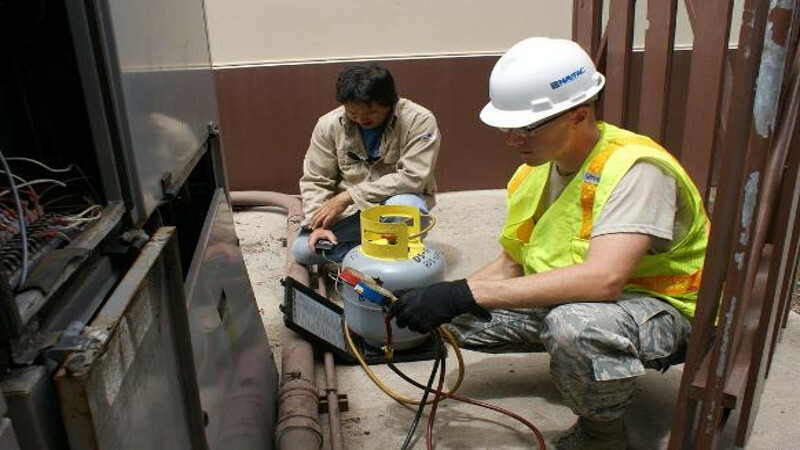 When you sign up for an AMC, a technician will visit your site and clean up the filters thoroughly. He will ensure that the debris surrounding the outdoor unit is cleared off. They can block the coils in the outdoor unit. Increase the Life of the Equipment: When you invest in buying this costly equipment, it is necessary to protect it so that it lasts longer. When you do regular maintenance, you can eradicate the issues before even they occur. You can prolong the life of the HVAC system. When you do not do regular maintenance, even though the system works, it might have some internal problems. You will fail to recognize the same. It might make your system work inefficiently thereby increasing the utility bills. You solve all these issues when you have an AMC with a good and reputed company. You should, therefore, find an outstanding company that provides air conditioning service in Houston.